Running a restaurant, clinic or hotel? Chances are you rely on the frequent and heavy duty use of your dryer. This means that they will suffer a buildup of dirt and a backlog of lint far quicker than your average residential machine. Industrial-used machines require a significantly greater level of maintenance and cleaning than a residential one. But with the stresses of keeping your operation functional, you may feel that you don’t have the time for it. However, neglecting to do so can spell disaster for you, your machine and your business. Dryer vent cleaning is likely not your cup of tea, which makes it easy to forget to keep your machines properly maintained. As time goes on and the machine is put to heavier use, it can fall prey to an uncontrollable clutter of dust and lint which can pose a threat to the dryer itself, and can bring about certain health risks which could have a severe impact on your business if it gets out of control. 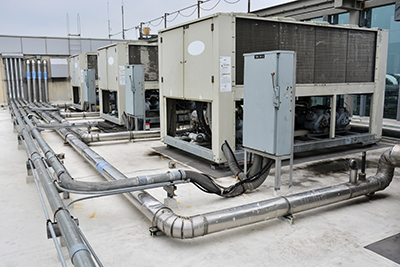 The reason for this is that the dirt can begin to circulate through the internal air flow of your premises, which could result in the occurrence of severe respiratory disorders such as asthma in your employees and customers. That’s why you need a professional dryer vent cleaning business that can ensure your premise is kept dust free. Perhaps the biggest risk to neglecting the cleanliness of your system is the strong possibility of creating a fire hazard. A large enough collection of lint is extremely flammable, and so should be dealt with as soon as possible. Neglecting to perform restaurant dryer vent cleaning, for instance, could pose a serious risk when you consider the kitchen environment, which is categorized by open flames and heat sources. It is in just such an environment that a bit of stray lint can lead to devastating consequences. 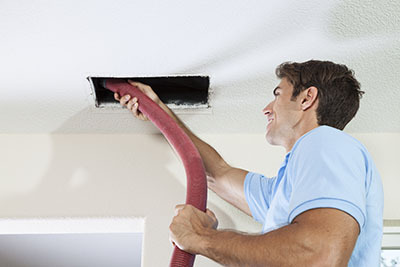 Cleaning a dryer vent in your business doesn’t even have to be on the top of your own to do list. If you’re not sure what you’re doing, cleaning the dryer can lead to damages being incurred by the machine. 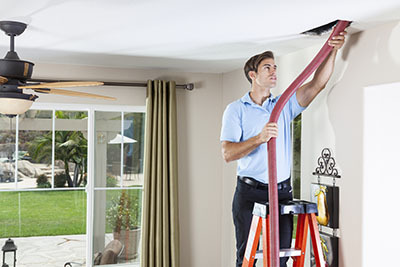 At “Air Duct Cleaning in Daly City” our technicians have all the expertise and equipment necessary to get the job done properly for you. We will work quickly, cleanly and carefully, so that you don’t have to. So rather don’t wait for disaster to strike, and certainly don’t take the chance that it might not. 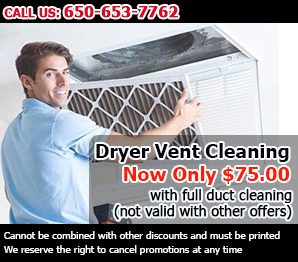 Give us a call today, and we’ll make sure to get your drying system clean as soon as possible, so that you can continue running your business efficiently.